PRECIOUS gave 10 years old her sweet life to her family that left her when they moved. She is great with everyone, already spayed, has advanced obedience skills and she needs help fast, seniors don't do well in the shelter and she was falling asleep sitting up she is so terrified.. Please SHARE, she's SO sweet She need a FOSTER or ADOPTER NOW. 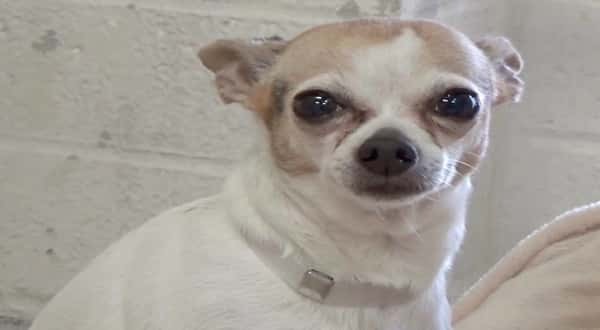 #A5149886 My name is PRECIOUS and I'm an approximately 10 year old female Chihuahua. I am already spayed. I have been at the Carson Animal Care Center since 2/10. I will be available on 2/10. You can visit me at my temporary home at C232. My former family who owned me for more than 5 years had to give me up because they were moving. But they said that I spend most of my time indoors. I seem to be good with small children. I have begun housetraining, but I still need some work. I am good on a leash. I have advanced obedience skills. I seem to get along well with dogs. 1 Response to "PRECIOUS gave 10 years of her life to her family that left her, cries every time she’s alone"